These keys are unused. None of keys are muted. But they keys can't be registered on Battle.net. 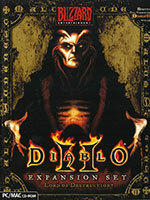 This price include a Diablo II Classic key and a Diablo II Lord Of Destruction key. Not include manuals, CD/DVD, box or any other psycical elements. All keys are 26 digits. Download CDKEY MPQ Maker. Support 16 and 26 Digit CDKEY Set. Easy to use. Limit 12 Sets in an order.